The 3rd R&D conference of the Swiss Industry 2025 initiative offered an overview of activities at universities around Industry 4.0 and related technology. A poster exhibition allows networking and in-depth discussion of the presented topics between the speakers and the public from industry and politics. Prof. Martin Gwerder presented challenges that SME encounter when they try to embrace cybersecurity. He explained how the SMESEC framework and the framework’s cybersecurity coach can be used to address these challenges in a lightweight and cost-effective manner. He closed with an invitation to companies to become beta testers of the approach. 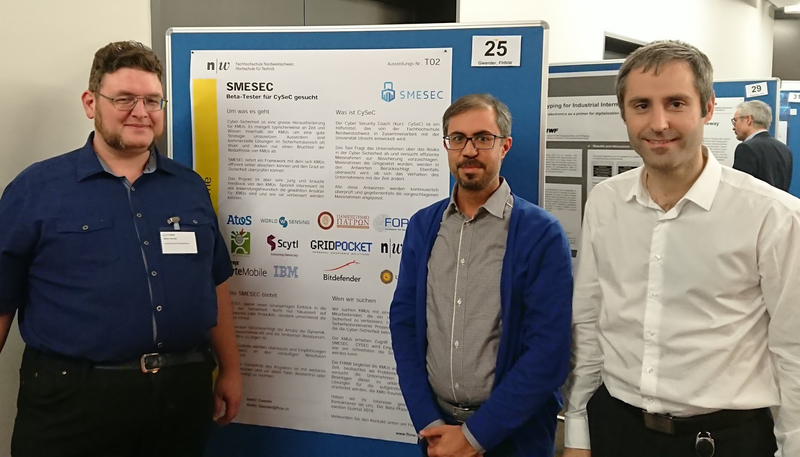 For SMESEC, the conference offered a significant opportunity to present and test the SMESEC concept for a lightweight Cybersecurity framework for the thorough protection of SME. Several companies have registered their interest to join the SMESEC beta testing programme.